As an editor, one reads so much of the mundane. Occasionally one has the good fortune to read a story that elicits true pleasure. 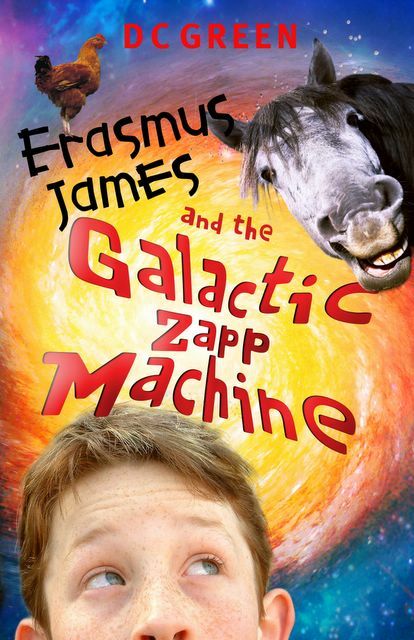 Erasmus James & the Galactic Zapp Machine is such a book. It has an exciting plot (complete with timely message) with many an unexpected twist and is guaranteed to hook all readers from go to whoa. The language is a mirror to ‘kid-culture,’ and the clever use of word and pun is captivating for readers of all ages. Erasmus James & the Galactic Zapp Machine is destined for commercial success. Awesome site DC. You've done it again - drawn your reader into your land of fantasy. This book is fast, funny and farty! It's like Harry Potter but with way better jokes. And a more interesting story. If you love a great book with lots of laughs then you must read this book!! "Yeuch! ", "Gross" and other teenage expressions of appreciation. Check it out. Laughed so hard, I almost choked. Can't wait till September to find out what happened! I love the book. its funny.its adventourous its its its brillient. i am a persinal friend of D.C green. his daughtr and i are very good friends. but he wont give me a free copy.BOOOOOOOOOOOOO!!!!!!!!!!! but i still loved the book. Amazing story. Looking forward to see whats gonna happen in Uponia. I hope we can get this in Canada. I love the roccors,the krazy king,the bloodhorses and everything!! D.C. my boy, you have done it again!!!! You are one of the best writers in the whole world. I would recommend your books to everyone. I just love the book! i am now have a blog. Hey i thought that You are really funny and that.. your book is really good. Anyways.. you inspired me to do something i have been thinking about doing, but never actually bothering to do... writing my own book.. i called it "Mystic Chance"... it wont ever be on book shelves, but it will always be on my computer.. and i will always remember that i wrote it. Sorry I haven't replied sooner. Thanks for all the great comments. I'm stoked you've enjoyed my shows and my stories and I'm super-stoked if I've inspired some of you to write your own books!! /\ _ /\" The rest was excellent. And I just want to thank you for the free book. I know not many people get these precious chances... Thanks!